 Lutz provides medical and dental practices comprehensive financial and consulting solutions and services to support quality patient care and increase operational efficiency. We use a team approach in order to provide expert solutions to business issues. Our goal is to be your trusted advisor. Our promise is to “mind what matters” and that really sums us up. We will work with your team to identify innovative solutions and see them through to fruition. Payor contracts are your bottom line. Yet many physician groups sign on the dotted line before reviewing their payor contracts carefully. Why? Because they don’t know how to spot the pitfalls that can put them at risk or cost them money. Our team can help provide guidance and analysis to help get the best contracts. Has your company experienced any of the following pains? Not receiving the timely, accurate financial information needed to make critical business decisions. Your key employees are spending all their time working on the business and not enough time trying to grow the business. Just getting started and need access to a turn-key accounting and support team so that you can spend your time developing the company and serving customers. You rely on one person to run your back office with minimal documentation, control or and have no other option if that person is sick or on vacation. You need higher level CFO or Controller help, but not on a full time basis. You want a true accounting and business ally on their team to work with them to grow the company and achieve their goals. Revenue is the lifeblood to any private practice. Due to the unique nature of the reimbursement cycle in the healthcare industry including coding procedures, billing, following up with denials, and collecting the final payment, you need a team that is experienced in the industry to help guide your practice through the process. The revenue cycle for a medical and dental practice encumbers all aspects of patient service from scheduling to collecting payment for the services provided. If all aspects of the revenue cycle are working correctly, it’s fairly predictable and manageable. However, if there is a problem in any of the cycle steps, significant ripple effects will disrupt other portions of the revenue cycle. Effects may include costing a practice money in terms of either revenue services that will not be collected, revenue for services that are not paid in full, or time and money spent trying to go back and correct the problems that have occurred. A good practice is constantly analyzing and monitoring their revenue cycle. The Lutz Healthcare Group’s goal is to help medical and dental practice structure, monitor and maintain their revenue cycle so that they never experience disruptions. A practice will pass through many phases during its life cycle, and every phase creates a new set of challenges. Lutz helps medical and dental practices formulate a strategic plan, which acts as a road map to use throughout several different phases of a practice’s life-cycle. We have assisted our clients with phases like; sudden growth, provider retirement, new practice partner, transactional mergers/acquisitions and key management changes. Happiness on the faces of our team and clients will assure us that we are putting energy into what is truly valuable.